Yes, it’s January and yes I have a wedding dress to think about. But New York just isn’t a city in which to be abstemious in. And I’ve done a lot of walking. Just down the street from my hotel there’s La Esquina for a start, and they deliver to the room. 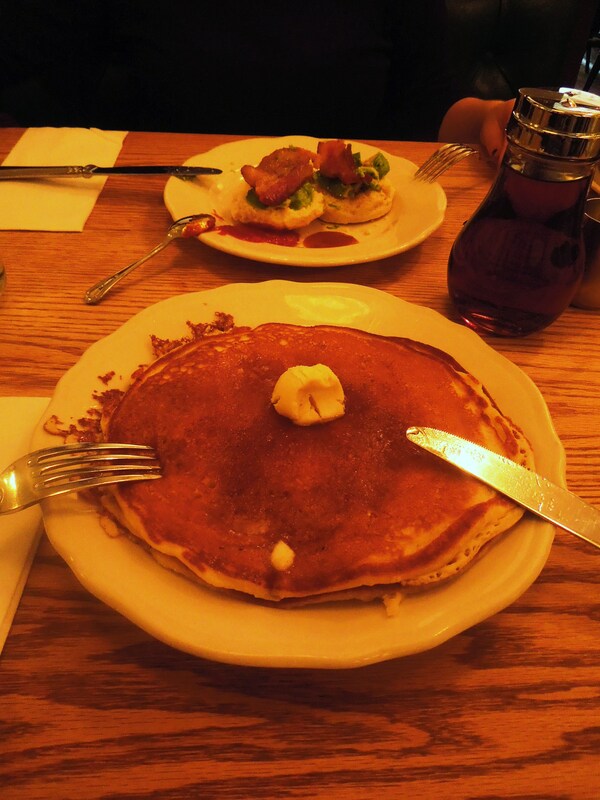 But let’s start with the most important meal of the day, which was at Peel’s on The Bowery. My cab driver Gene (of whom there will be more later) told me that “on The Bowery” was a New York euphemism that implied that someone’s hit hard times, is down-at-heel, or a bum. And yet, as I walked up The Bowery from Canal Street it seemed anything but. Take, for example, the soon-to-open Anthropologie mega-store and DBGBs (part of the Daniel Boulud Empire, across the street from the ill-fated CBGBs) for a start. This end of The Bowery, at the crossroads of the Lower East Side and Nolita, is as sparkly as Manhattan’s nighttime skyline. Peel’s, which occupies the corner at 2nd Street, is a buttery-light brasserie that majors in breakfast. I ordered a flapjack with maple butter, fully expecting golden syrup-laden oat biscuit to arrive. What was presented to me was a pair of plate-sized pancakes. Even better. They were as fluffy as candy floss, as light as a brioche, and rich with buttermilk. Delicious. My companion had ordered something as equally ambiguous: a buttermilk biscuit with avocado and bacon, which was, in fact, a savoury scone topped with avocado and bacon. Slathered with chipotle sauce, it was piquant and perfectly moreish.